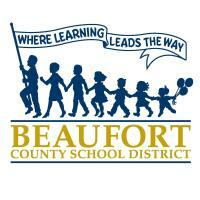 BEAUFORT – Two weeks after seating six new members, the Beaufort County Board of Education has reversed its earlier decision to use “8 percent funds” to design and construct classroom additions planned for River Ridge Academy. The Board left in place its earlier decision to fund architectural designs and bidding for an addition at May River High School. South Carolina law allows school districts to borrow up to 8 percent of their total assessed property value for school capital projects without going to voters for a referendum. On Dec. 11, the Board voted 6-5 to use such “8 percent funds” to build a 16-classroom addition at River Ridge Academy and also to proceed with designing and bidding for a two-story addition at May River. Tuesday night the Board voted 10-1 to push ahead with designing and bidding the May River addition but decided not to fund the River Ridge expansion with 8 percent funds. Several Board members have said they support the idea of expanding classroom space in Bluffton but that voter-approved referendum funds – not 8 percent funds – should pay for it. Both the River Ridge and May River planned expansions were part of bond referendums that Beaufort County voters rejected in 2016 and 2018. Board member Richard Geier added on Tuesday night that reducing the available pool of 8 percent funds might hinder the district’s efforts to generate rapid funding for repairs in the wake of a hurricane or other natural disaster. Both River Ridge and May River were originally designed to be expanded with additional classrooms wings based on student enrollment and the availability of funds. The Bluffton area – particularly in the attendance zones served by River Ridge and May River – has seen dramatic growth in the past few years. Although Tuesday night’s Board decision halts immediate efforts to construct additional classrooms at River Ridge, the Board left in place its Dec. 11 decision to design, obtain permits for and bid the May River High addition. District officials, meanwhile, said they would have plans in place to move River Ridge construction ahead quickly in November 2019 should the Board schedule – and county voters approve – a referendum in November.